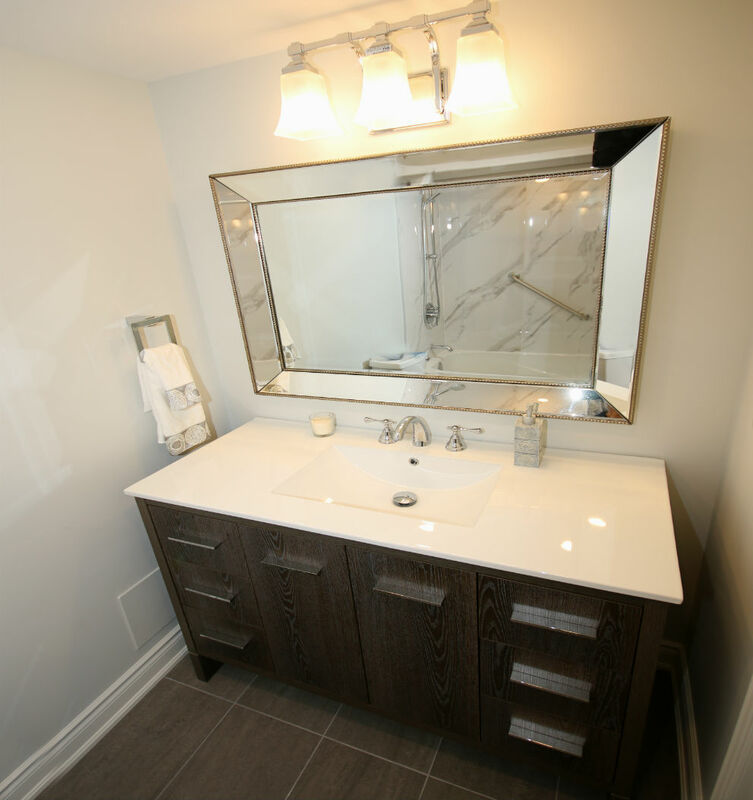 TCC did this Oakville condo renovation. Our clients had purchased their 2000 sq ft condo which is situated just south of Lakeshore in Oakville and wanted the entire condo renovated from top to bottom and they wanted their guest bathroom to have more of a contemporary feel to it. Here is a picture of the final result. Our clients were thrilled with the final result!